To go along with what is becoming our ongoing feature series on Outdoor 3D Art including 3D chalk art Julian Beever and 3D Sidewalk Art by Edgar Mueller meet SAS Advertising. 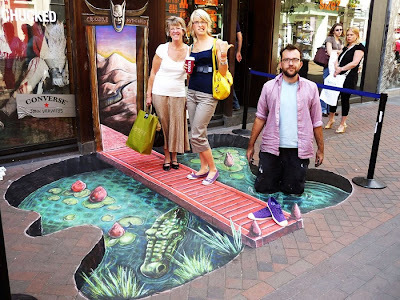 Want to have an amazing 3D chalk sidewalk billboard for your company or organization. Look no further …. there are advertising companies out there that specialize in this type of promotion. 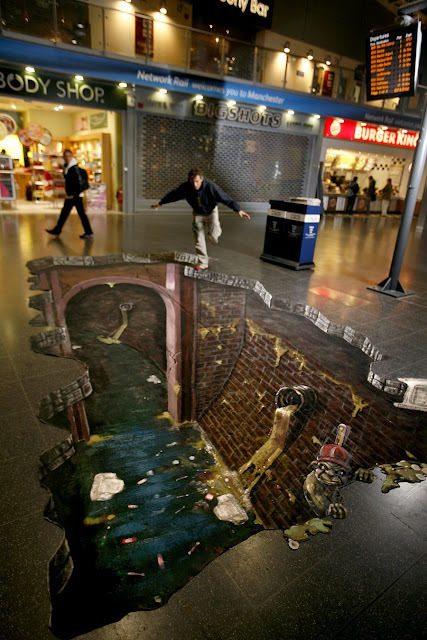 One such company is Street Advertising Services . 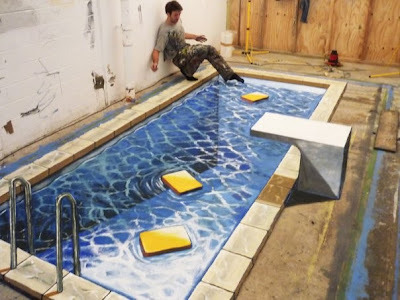 They are a leading advertising company in the UK and Europe that specialize in 3d Street Art and are renowned for creating three-dimensional chalk drawings. 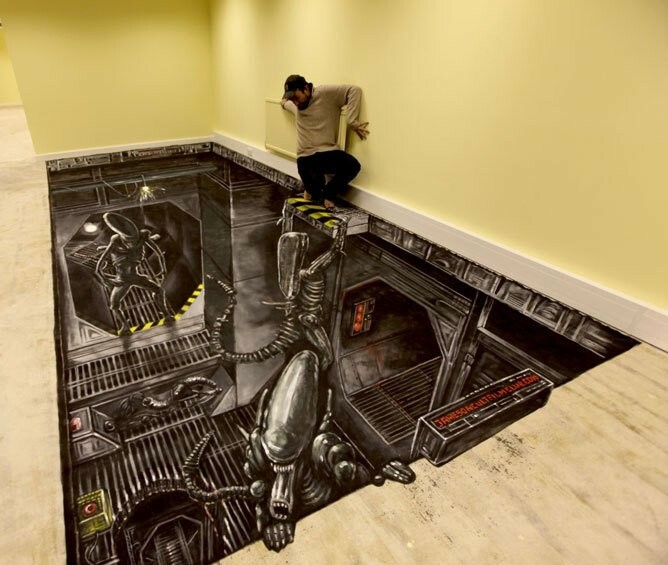 Below are some examples of their work.